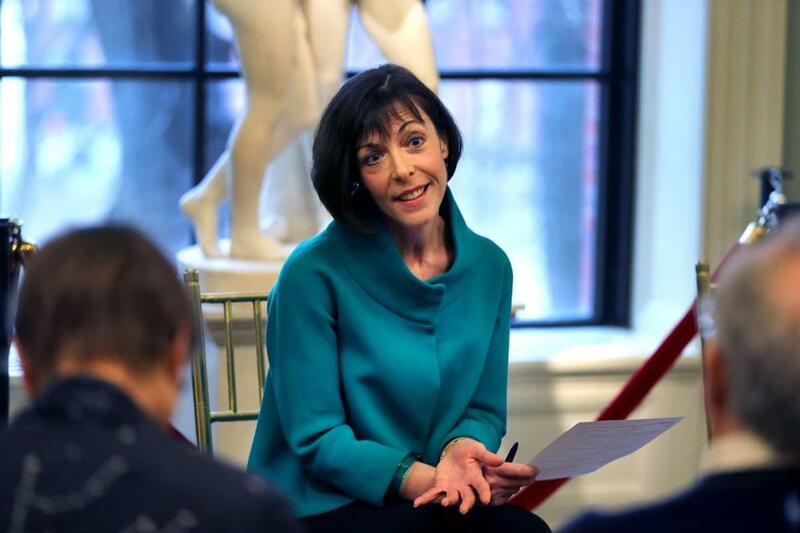 Elizabeth Barker plans to step down as director of the Boston Athenaeum. Elizabeth Barker, the Boston Athenaeum director whose tenure has been marked by turmoil, announced in a letter to members Friday that she plans to step down from the venerable Beacon Hill library at the end of March. The unsigned letter said the Athenaeum would begin a national search for a new director soon. Athenaeum board president John S. Reed praised Barker’s work as director, saying she has increased membership, expanded annual giving, and improved the library’s events programming. Neither Reed nor Barker responded to requests for comment. Barker, who arrived at the Athenaeum in the fall of 2014, pushed hard to modernize the tradition-bound library, whose five galleried floors house valuable collections of art and rare books, including paintings by John Singer Sargent and portions of the personal library of George Washington. But longtime employees complained about her management style, describing the work environment as “hostile” and “toxic.” Nearly half the library’s 55 or so employees left during her first 3½ years as director, and major donors, citing low morale and other issues, began withholding support. One board member resigned in protest, rescinding much of a $2 million gift. The tumult crested in early 2018, when all three of the Athenaeum’s senior curators left in quick succession, citing the difficult workplace environment. Among a host of issues the Athenaeum has faced is the need for more space. In the letter, Reed praised Barker for leading the board and staff “through a rigorous, complex process” that ultimately led to the signing of an extended lease for space in a neighboring building at 14 Beacon St.